The man was standing near a municipal police van and was being issued a fine for using public transportation without a ticket. “The clearly nervous man, who also treated the municipal police officers to verbal abuse, was on the phone to an acquaintance the whole time. As he was being issued the fine, Rabbi Kot and his children passed by. The MUPO patrol immediately intervened to put an end to the young man’s inappropriate behavior and said they would call the police should he fail to comply,” press representative for MUPO Meelis Hunt said. Hunt said the incident took place at the Paberi tram stop where passengers were being checked for tickets. Information of the verbal attack reached the authorities. “We contacted the chief rabbi today and are currently collecting additional information about the incident,” Kaido Saarniit, head of the Northern Prefecture’s City Center Police Station, said. “We have identified the alleged abuser and launched proceedings based on incitement of hatred. Everyone has the right to feel safe in Estonia. In addition to physical assault, the police also take verbal attacks and cases of incitement of hatred seriously,” Saarniit added. 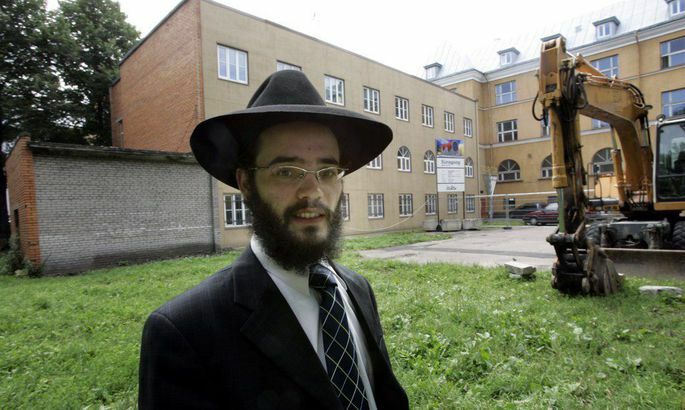 Head of the Estonian Jewish Community, sworn lawyer Alla Jakobson said that it was a random incident that regrettably coincided with difficult times in society, following Riigikogu elections. Chairman of the Center Party Jüri Ratas, currently in talks for a potential coalition, condemned the verbal attack. “Incitement of feud and hatred is inadmissible, and such behavior must always be met with a serious response. I assured Rabbi Kot of this stance over the phone today,” Ratas announced. Chairman of the Christian Society of the Conservative People’s Party (EKRE), that is another participant in coalition negotiations, Tarmo Hints, said that the society is greatly disturbed by the base insult. “Jews have had enough painful experiences with persecution. And not only by Muslims. Let us demonstrate wisdom in this matter. And let us not do things that would have to be regretted later,” he wrote.